“We are proud to participate in a study that puts driver safety at the top of the agenda of Australia’s policy makers,” said Michael Hirsh from Mobileye. “Mobileye’s core goal is to help drivers limit accidents and improve road safety,” said Mr Hirsh. Mobileye offers key road and driver safety features and is invaluable to driver safety and road safety. Perfected after years of heavy research and development, Mobileye’s driver awareness technology has been adopted as a standard safety feature by leading automotive manufacturers including Volvo, BMW and General Motors. 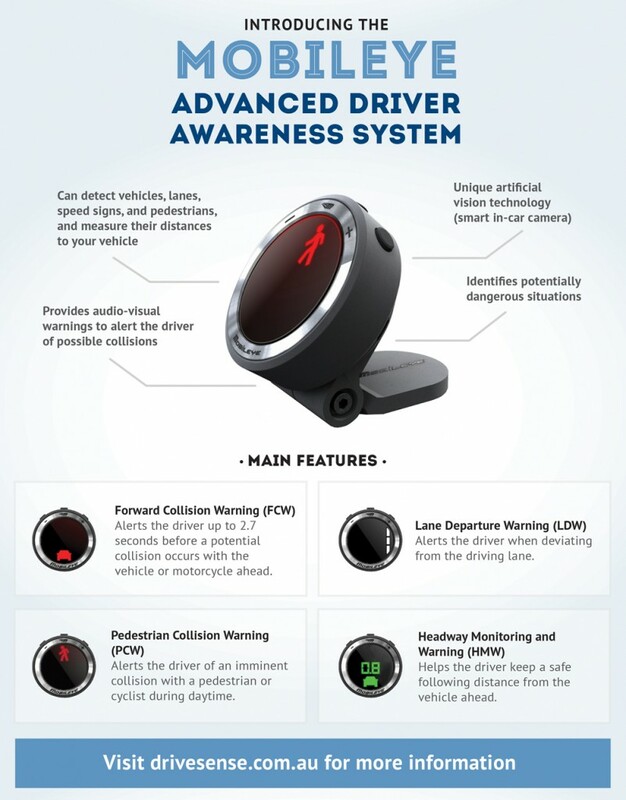 Mobileye is the only comprehensive driver awareness system available for aftermarket installation in Australia and is suitable for cars, vans, buses, trucks and fleet vehicles. Find out more about the Mobileye or contact us to learn more.